A fragile political situation could be derailed over a new law. A new electoral law in New Caledonia mandating that only indigenous Kanaks and persons enrolled in 1998 will be automatically eligible to vote in the 2018 independence referendum is threatening to destabilize the nation’s fragile political process. The proposed law, recently approved by both the French Supreme Court and the Senate, is currently making its way through the French National Assembly. 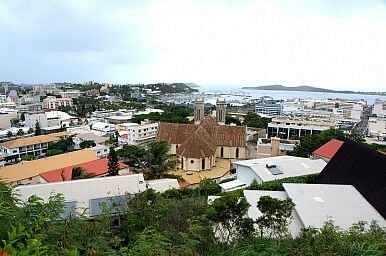 The bill has raised the ire of the anti-independence majority in the New Caledonian Congress, who insist that the law is discriminatory against non-Kanaks born after 1998. Non-Kanaks must prove their eligibility to enroll, whilst indigenous Kanaks are automatically qualified. Tensions between settlers and the Kanaks of New Caledonia have a long history. Bloody clashes and deepening inequality led to New Caledonia’s placement on the UN’s “Decolonization List” in 1986, with the result that “immediate steps” had to be taken to ensure “complete independence and freedom” for the territory. As part of fulfilling these requirements, the French state made an uneasy compromise with independence supporters through the Noumea Accord of 1998, which mandates that a referendum on self-determination must be held by the second half of 2018. Should the independence vote fail, the Accord provides that two more referenda must be held in ensuing years. With national independence potentially imminent for the territory, pro-independence lobby groups are organizing in earnest for self-governance. They are now internationally represented in forums such as the Melanesian Spearhead Group through the Front de Libération Kanak et Socialiste (FLNKS), led by spokesperson Victor Tutugoro. In spite of the breadth of national support for the independence, the FLNKS itself is divided between the Union Calédonien and Union Progressiste Multiraciale factions, with the result that it has not had a president since 2002. Recent political developments in New Caledonia have continued this pattern of division. Elections were held in May 2014 in the Northern, Southern and Loyalty Islands provinces. Thanks to high Kanak populations, independence candidates won every seat in the Loyalty Islands and 18 of 22 seats in the Northern province. Within the settler strongholds of the Southern province and the capital, however, anti-independence sentiment prevails. At the 54-member national Congress level, 25 members currently support independence, whilst 29 have formed a coalition in fierce opposition to secession. This coalition was held together on the basis of a tenuous “governance pact,” sharing out key government positions between three anti-independence parties who held radically different policy objectives on a number of issues. When this arrangement disintegrated in December 2014, the government became so stricken by infighting that for more than four months its 11 members could not agree on who would be president. The stalemate ended in April 2015 with the controversial election of anti-independence member Philippe Germain as president. Germain struck a deal with three pro-independence ministers to the effect that Jean-Louis d’Angleberme of the pro-independence Caledonian Union party has now become the new vice president, in a major coup for FLNKS movement. This move has angered Germain’s anti-independence colleagues, some of whom boycotted his first presidential address. Further muddying the waters of these factional disputes is the news that Germain has become embroiled in legal battles concerning his sacking of the assistant staff members of three of his ministers, prompting speculation over the extent of division with the anti-independence camp. The Noumea Accord looms large over all aspects of political life in New Caledonia. For the FLNKS, the need to garner support beyond the Kanak bloc is a constant pressure, whilst anti-independence groups are desperate to find an “exit” from the stringent requirements of the Accord. In a territory containing 25 percent of the world’s nickel reserves, attempts toward developing policies to manage environmental and mining concerns, promote employment in indigenous communities, and work towards enhanced resource sovereignty are hampered by the perpetual crisis mode created by New Caledonia’s uncertain future. The political climate has thus become crippled by decades of division. The violence of the 1980s and the uncompromising rhetoric of many independence activists have driven away moderates. In a population where some 40 percent of the 260,000 inhabitants are indigenous and 29 percent European, the FLNKS can scarcely afford to continue alienating the remaining 31 percent as the referendum approaches – even if the disputed electoral laws favoring Kanak eligibility are allowed to stand. On the other hand, the high stakes involved in potential secession from France have prompted panic and vitriol from many anti-independence advocates, and the continued failure of conservatives to tackle systemic inequality and discrimination towards Kanaks provides further impetus for supporters of the Accord. With top-level talks regarding the new electoral law taking place in Paris next month, anti-independence leaders have accused the officially “impartial” French government of siding with the independence movement. These tensions prompted an 8000-strong demonstration to assemble outside the French High Commission in Noumea in April for the visit of Claude Bartolone, president of the French National Assembly. Similar demonstrations occurred in November 2014, when crowds flocked to prove their allegiance to France during President François Hollande’s stopover, which was the first time a French president has officially visited the territory in more than 160 years of occupation. Germain’s rapprochement with the pro-independence ministers should not be pilloried as an act of betrayal; it was a breath of fresh air for a deeply divided legislature. Germain’s leadership has nonetheless failed to inspire similar displays of collegiality from his ministers. Tensions within the anti-independence camp have spiraled out of control, with the Union for Caledonia in France party splitting apart in July 2015 and parliamentarians switching allegiances seemingly on a daily basis. While the rifts in the anti-independence faction have grown so extreme as to attract a plea for cooperation from former French President Nicolas Sarkozy, the other side of the debate is hardly immune from dysfunction, with two of the pro-independence members declining to attend parliamentary sessions altogether. As New Caledonia edges ever closer towards the referendum, and the dawning reality of self-government continues to frighten the justifiably anxious populace, the need to address political polarization grows steadily more crucial. Sally Andrews studies Laws/International and Global Studies at the University of Sydney and works as a Director of the West Papuan Development Company, focusing on improving well access and sanitation infrastructure in the Papuan provinces.